An image of earth from space courtesy of NASA illustrates the cover of John Gribbin’s highly readable summary of how our planet originated and has evolved over the past 4.5 billion years. 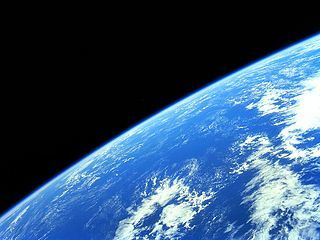 The image is reminiscent of the iconic 1968 “Earthrise” photograph taken from the Apollo 8 mission, the first view of earth from deep space and a disorienting perspective which reminds us of our place within the universe. The book is particularly relevant for helping us to live in a manner which consciously apprehends the impact of our activities on our environment and thoughtful reading may help us to dissolve those arbitrary categorisations which separate self from surroundings. At a time when the British Geological Survey on Shale Gas Fracking, the Bowland Shale Gas Study, has just been released, and when there is considerable discussion regarding the potential exploitation of this resource and its social and environmental impact, the book provides a contextual backdrop which reminds us of the deep intimacy of our integration with our planet. Its particles and energy comprise our physical being and flow through us. We are indeed stardust, formed from the ashes of a supernova over distances, volumes and time scales which are barely comprehensible. The book is of considerable assistance in promoting such comprehension. Gribbin reminds us of the characters whose work informs our current understanding of the planet’s development and of the perceptual shifts required to incorporate new thinking. He cites Darwin, for example, who credited Charles Lyell’s “Principles of Geology” (1830 – 1833) with “the gift of time … it altered the whole tone of one’s mind”. We should perhaps be encouraged that such alterations can and do take place, particularly at this time when short term economic gains apparently over-ride long term environmental damage. Gribbin compares the current rate of species extinction caused by human activity, calculated to be 200,000 times faster than in the pre-human era, with the Big Five catastrophes which involved planetary impacts or massive volcanic activity. Our own life span informs our sense of time and is perhaps responsible for difficulties in relating human activity to its long term effects, as well as in linking distant events with present conditions. Gribbin explains how evidence from rock sedimentation patterns, further illuminated by knowledge of radioactivity half-life, has expanded our conception of planetary time from 6000 years to 4.5 billion years. Throughout the book he renders complex principles understandable by careful selection of ideas and well-structured organisation. A recurring motif in the book is the accumulation of a series of unusual events which make our planet with its “hot, dense interior, a thin crust, covered in water – much more interesting than its neighbours” particularly suitable for life. Such events include the initial coalescence of matter at a beneficial position in relation to our closest star (creating a life promoting energy range), the formation of our moon following a collision which produced an axial tilt (generating seasons), incorporation of a dense nickel-iron core (producing a protective magnetic field), enough gravity to retain debris from comet impacts (which delivered water and methane) and Milankovitch cycles which generate ice ages (promoting traits of intelligence and flexibility in our hominid ancestors). The fragility of our dependence upon an almost negligibly small 20 kilometre vaporous skin around the surface of the planet is implicit within the book. Within this layer, smaller in proportion than the peel of Newton’s apple, all history, all human activity, all art, all science, and all thought has taken place. If ozone in the stratosphere was collected at surface atmospheric pressure it would occupy a layer 3 mm thick. This is an astonishingly small amount of material on which to depend for protection against the cancer inducing effects of ultra-violet light. We become particularly conscious of the fragile nature of our habitat when experiencing catastrophic geological events and Gribbin describes a number of these. Historical records exist for events such as the San Francisco earthquake of 1906, when the consequent destruction shifted economic and political power to Los Angeles, ironically a site more likely to experience movements of the San Andreas Fault. The eruption of Mount St Helens in Washington State in 1980 was observed by an experienced volcanologist from what he supposed was a safe vantage point. His last words were “Vancouver, Vancouver, this is it!” before vanishing in the aftermath of a pyroclastic flow. 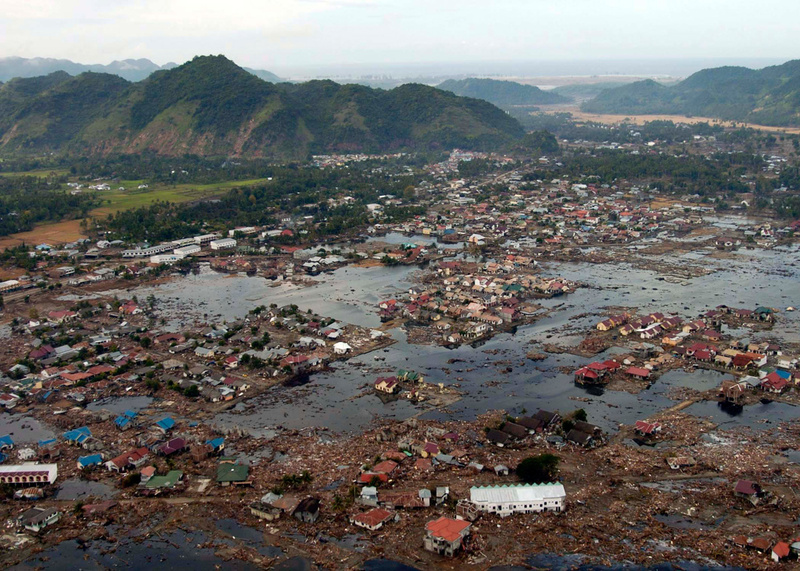 The 2004 tsunami off the Sumatran coast killed almost a quarter of a million people and had enough energy to cause 40cm mini-tsunamis on the other side of the Pacific Ocean. Further back in time information about catastrophic events is less detailed and we rely on evidence deduced from the present day distribution of geological materials. Gribbin describes the cold lava fields of the Siberian Traps, whose catastrophic deposition 248 million years ago eliminated 90% of all species. The impact of a 10km piece of rock which left a crater in the Yucatan Peninsula of Mexico 65 million years ago eliminated the dinosaurs and ultimately made ecological niches available for evolution of the mammals. Although the evolution our own species is discussed briefly, Gribbin’s book concentrates on the astronomical origins and geological developments of the planet. 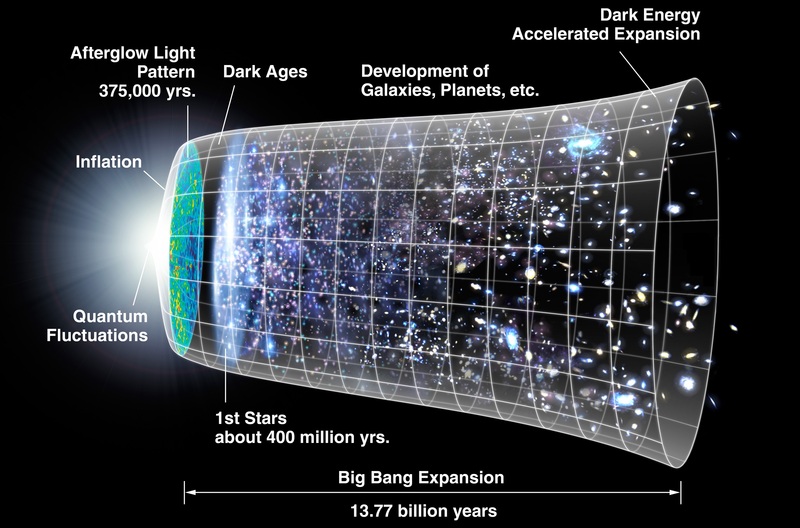 The pre-atomic instants following the Big Bang, the evolution of complex self-replicating molecules in earth’s primordial soup and the early migrations of our species from Africa’s Rift Valley across the earth lie outside the restrictions of the book. A timeline of Earth history is included in an appendix and helps to make sense of the enormous scale of the events described in the book. The engaging clarity of the writing does much to overcome the limitations of a book on this topic which has neither diagrams nor illustrations. Overall the book is a powerful reminder of how human life is completed integrated with the geological, climatic and biological processes which permeate our environment. It is also full of instances of intelligence, of examples of human capacity to respond with insight to the evidence around. One hopes that such intelligence will be used to augment and integrate our manipulable social and economic systems in a manner harmonious with those global processes which cannot be controlled and on which we rely for survival.